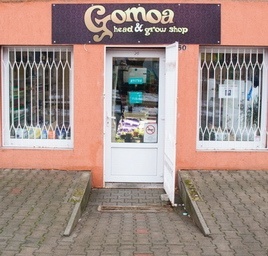 GOMOA PÉCS: CLOSED ON SATURDAYS!!! 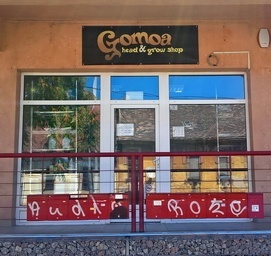 GOMOA SHOPS (PEST, BUDA, PÉCS, SZEGED): Our shop are CLOSED on 19 April 2019, - 22 April 2019. You can find our Gomoa stores in three cities of the country. Budapest, Szeged and Pécs. Our customers will be served by our polite and professional colleagues. Our unique supply includes headshop, smartshop and grow items as well. Our salesmen will answer all of your questions, and help to choose the right product for you. Come and visit us! H-1111 Budapest, Lágymányosi u. 5. Budai boltunk HEADSHOP, GROWSHOP és HERBALSHOP termékeket is forgalmaz! H-1061 Budapest, Dalszínház u. 10. Pesti boltunk csak HEADSHOP termékeket forgalmaz, GROWSHOP termékekért kérjük a budai boltunkat keressétek! H-6725 Szeged, Petőfi sugárút 50. Szegedi boltunk HEADSHOP, GROWSHOP és HERBALSHOP termékeket is forgalmaz! H-7621 Pécs, Király utca 66. Pécsi boltunk HEADSHOP, GROWSHOP és HERBALSHOP termékeket is forgalmaz! Our Buda shop sells HEADSHOP GROWSHOP and HERBALSHOP as well! Our shop on the Pest side sells only HEADSHOP products. For GROWSHOP products please visit our Buda shop! 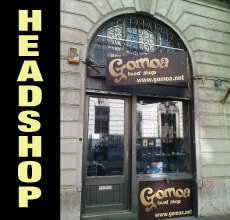 Our Szeged shop sells HEADSHOP GROWSHOP and HERBALSHOP as well! H-7621 Pécs, Mártírok útja 17. Our Pécs shop sells HEADSHOP GROWSHOP and HERBALSHOP as well!